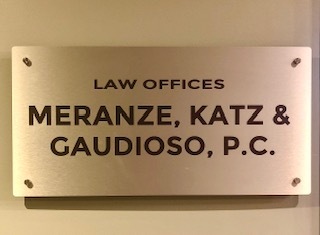 Bernard N. Katz, Esquire, is the founder of Meranze, Katz, Gaudioso & Newlin, P.C., and currently serves as “Of Counsel”. Bernard (“Bernie”) attended law school immediately upon completing service in the U.S. Navy during WW II. He was an honor student and Executive Director of the Temple Law Quarterly, as well as a frequent contributor of articles on labor law issues. Bernie founded the firm over 60 years ago as a result of his deep commitment to and belief in the labor movement, and devoted his entire professional career to improving the lives of working people and protecting the rights of Labor organizations. 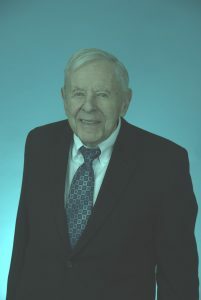 During his long career, Bernie served on numerous governmental commissions pertaining to labor law, including the “Hickman Commission”, which was responsible for the design, drafting and the ultimate passage of Pennsylvania Act 195, which brought Union representation to public employees. Bernie taught for many years at the Temple University School of Law in its post-graduate law program, concentrating in Labor law and Labor arbitration. When he was in active legal practice, Bernie was licensed in the states of Pennsylvania, New Jersey and New York, and practiced before the Supreme Court of the United States, the U. S. Courts of Appeals for the 2nd, 3rd, 7th, 11th and District of Columbia Circuits, and numerous Federal District Courts, as well as the National Labor Relations Board, Federal Mediation Conciliation Service and the American Arbitration Association. In addition to his lifelong commitment to the labor movement, Bernie is an avid exercise enthusiast.